Welcome to our first blog post here at Kowide Outdoors! ﻿For those of you who aren’t familiar with us, we are a top custom backpack manufacturer as well as woven apparel manufacturer from Vietnam. We specialize in manufacturing down jackets, travel bags, and other specialty bags. 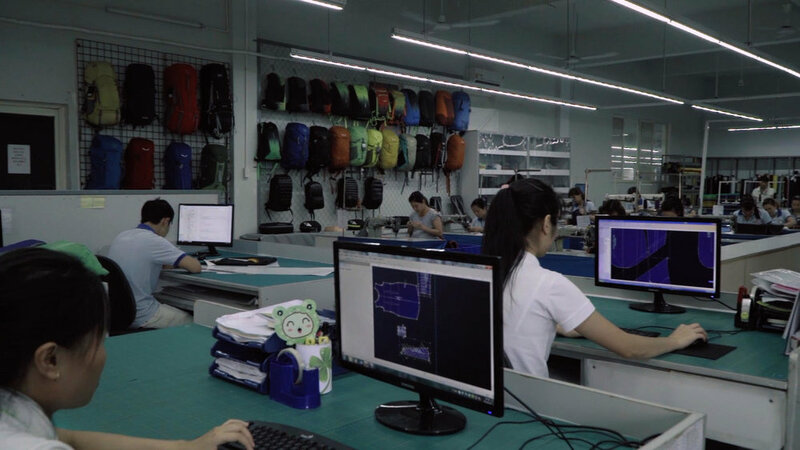 A certified ISO 9001 company, we have been one of the leading bag manufacturers of Vietnam for over 30 years and have a strong global export base. We use the most advanced technology in our manufacturing process. We’re equipped with innovative technology and equipment such as automated computer sewing, in-house screen printing, advanced laser cutting and laboratory testing to help you develop the highest quality products. Starting from the prototyping all the way through to final production, Kowide will guide you every step of the way to apply the right production method and get the most for your products from our advanced technology. Function and performance is our key focus. With over 30 years’ experience of supplying outdoor equipment and clothing accessories to brands all over Europe, Australia and Asia, we follow the highest management and quality control standard for all our factories. You can be confident in our ability to handle your production need. We’re a certified ISO 9001 manufacturer. This international standard, with its high requirements for quality management systems, demonstrates our ability to consistently provide products to our customers that meet regulatory requirements. Some view bag and jacket sourcing from Vietnam in a negative light due to previous stories surrounding violations to labor rights such as poor-quality working conditions. Here at Kowide Outdoors, we uphold to the highest international manufacturing quality standards and human resource practices, as verified by our auditors at the ISO. So, you can rest assured that we are a trustworthy source of manufacturers. Quick order processing. Kowide Outdoors can meet your specific requirements and manufacture your goods to a high quality within an efficient time frame and without delays, meaning you can get your new products out to your customer base faster. Designs which you decide. All our products are made to order according to your specifications. For backpack designers we can combine different technical fabrics and customized details such as technical back panels, hidden compartments, or waterproof materials and trims. This is especially useful for professional grade hiking bags and packs. Of course, if you require more simple designs for your products, our jacket and backpack designers and manufacturers can create products that fit your requirement. If you or your business would like to find out more about our custom backpack, down jacket, or bag manufacturing and design, please contact us today at one of our offices or reach out via e-mail at hgsales@henggin.com.tw.